Before we know it Christmas will be with us again! 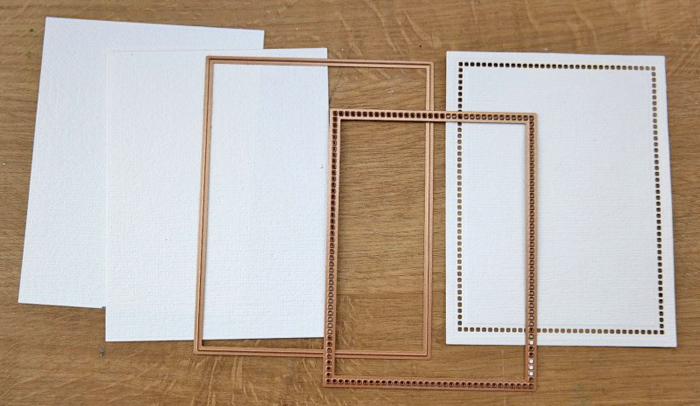 If you make lots of cards for the season then it’s time to get started. Keeping things quick and easy is the best way forward. 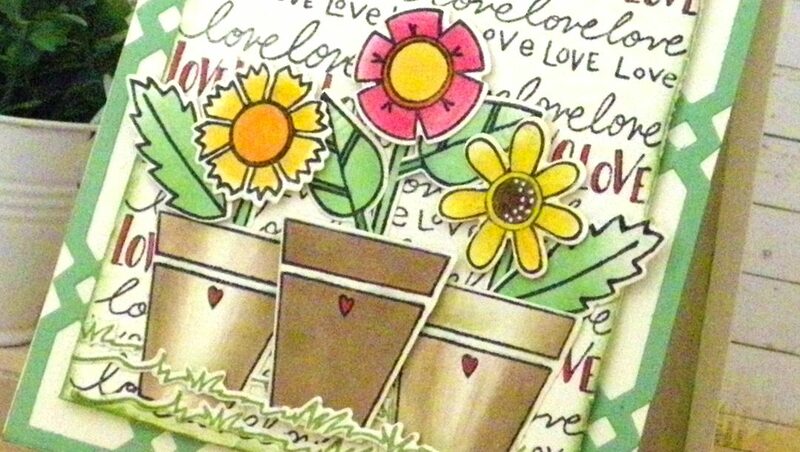 This cheerful little card is one idea that you may like to try. 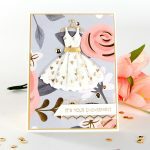 To create the card base, use the Hemstitch Rectangles Etched Dies Extra Large Frame Die and the Platinum™ machine to cut two pieces in white cardstock. 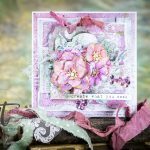 Nest Hemstitch Rectangles Etched Dies Extra Large Frame Die and the Extra Large Hemstitch Die together and secure with washi tape. 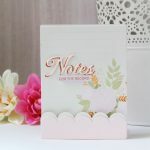 Place on top of a piece of white cardstock and cut to create a detailed edge card panel. Add the card panel to the card base with foam tape. 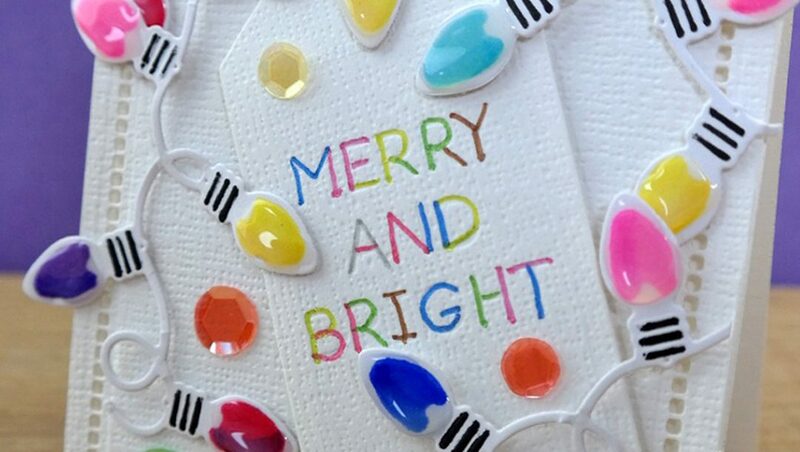 Cut/emboss Twinkle Lights Etched Dies Lights Die and colour with your favorite medium (I used Alcohol Marker Pens). Nest Christmas Tag Set Etched Dies Tag Frame Die and Merry and Bright Tag Insert Die together and secure with washi tape. 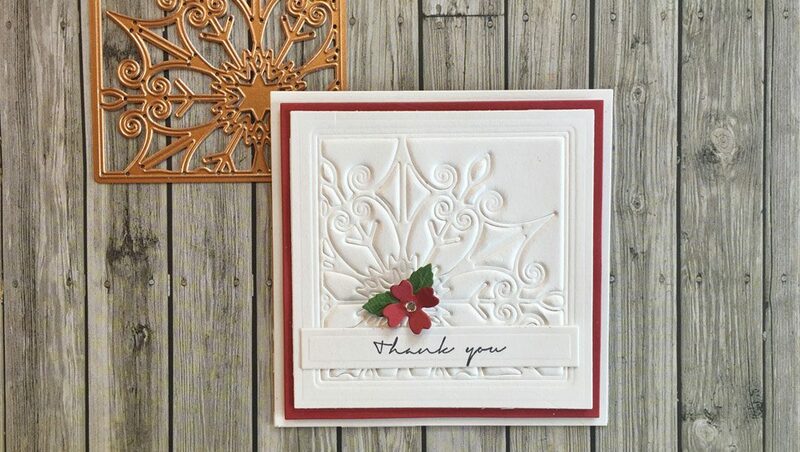 Place on top of white cardstock and cut/emboss. With brightly coloured pens, I filled in the debossed words. 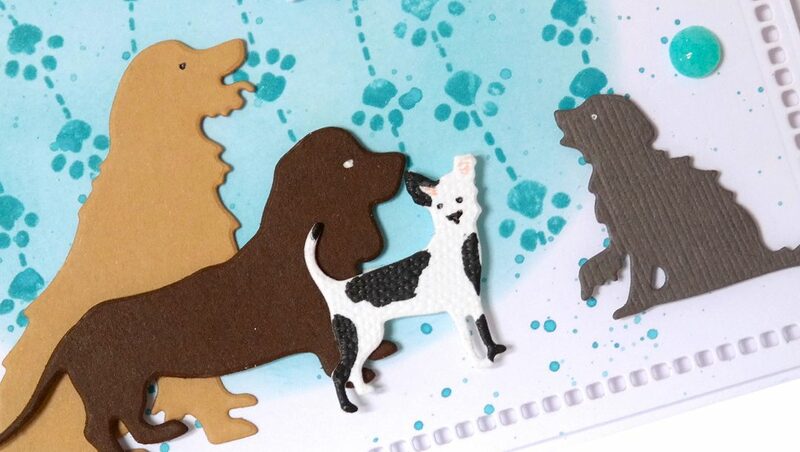 Add foam pads to the back of the tag die cut and position on the card as desired. 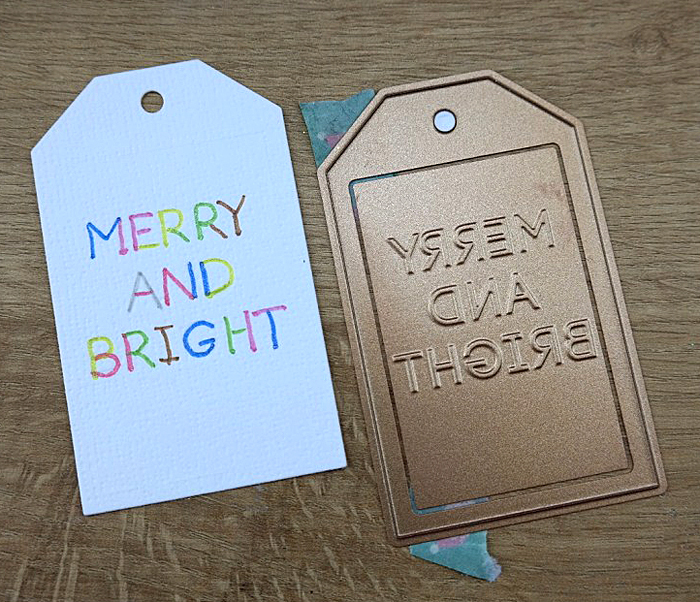 Arrange light die cuts around the tag and dot with sequins. Add Glossy Accents to the lights to make them shiny. 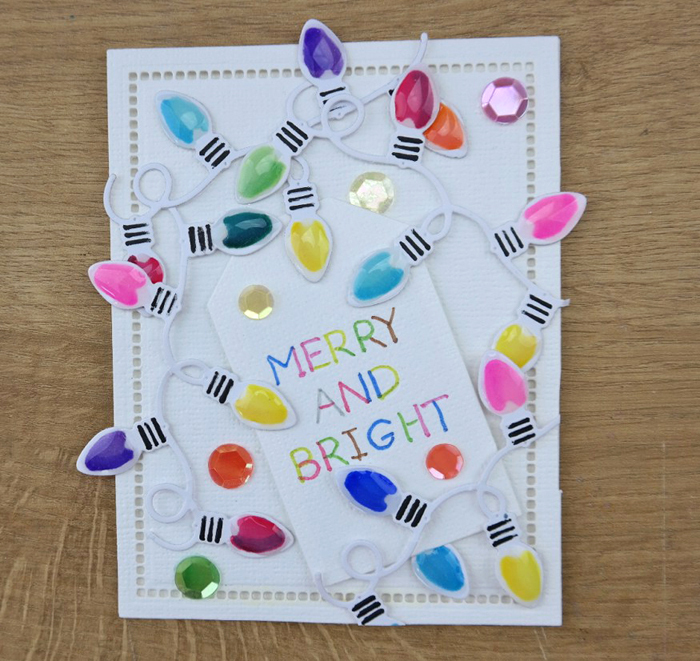 One Christmas card ready to send … ??? still to go ! !